Tyson Fury beat Wladimir Klitschko last month, taking the Ukrainian's WBA, IBF, IBO and WBO belts. He was then obliged to fight the International Boxing Federation's mandatory challenger Vyacheslav Glazkov, but Fury has instead chosen to face Klitschko in a rematch. 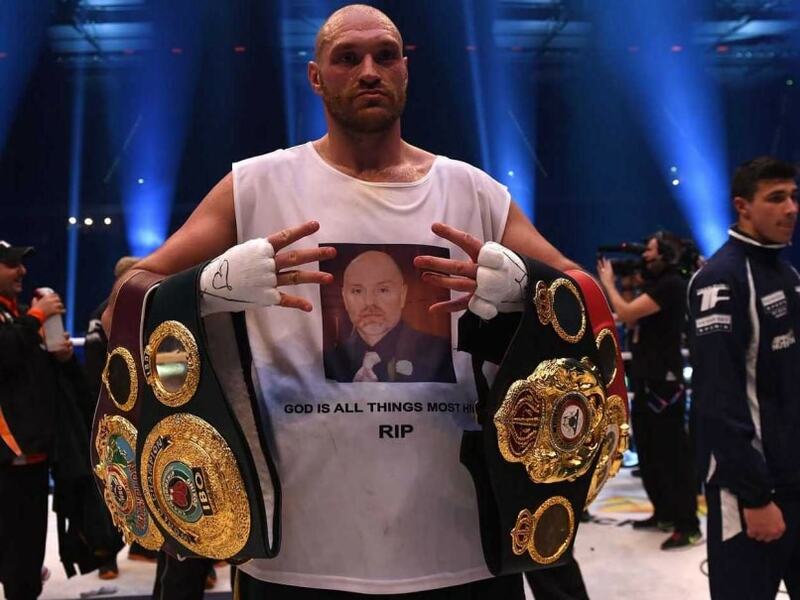 British heavyweight boxing champion Tyson Fury has been stripped of one his world titles less than two weeks after winning it, the BBC reported on Wednesday. Fury beat Wladimir Klitschko on points on November 28, taking the Ukrainian's WBA, IBF, IBO and WBO belts. The Briton was then obliged to fight the International Boxing Federation's mandatory challenger Vyacheslav Glazkov, but Fury has instead chosen to face Klitschko in a rematch, the BBC reported. "It's true he's been stripped of his IBF belt," the BBC quoted IBF championships chairman Lindsey Tucker as saying.